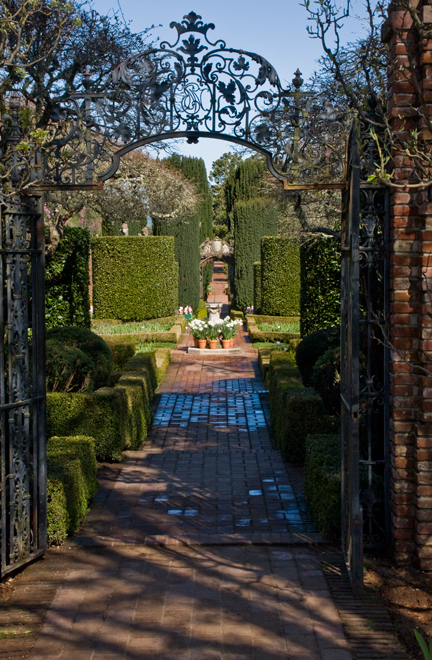 The beautiful 654-acre Filoli mansion and gardens may look familiar to you. That's because you've been seeing it for years. It has been featured in a dozen of films such as Heaven Can Wait, The Joy Luck Club, The Game, and The Wedding Planner. You might also recognize it as Blake Carrington's mansion in ABC's Dynasty television show. It was here that famous fight between Joan Collins as Alexis and Lynda Evans as Crystal, ended in the garden's lily pond. 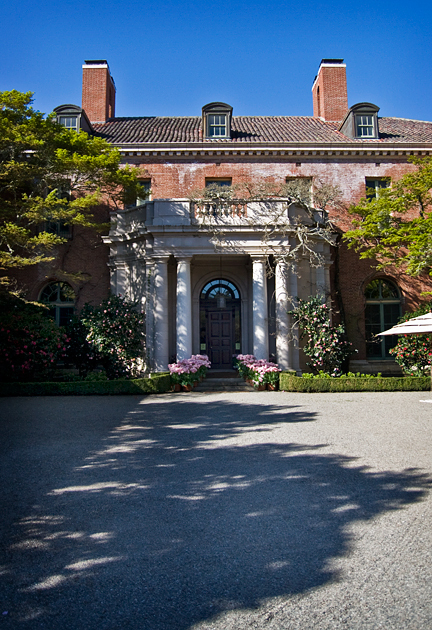 The actual history of the Filoli Estate begins in 1915 when architect Willis Polk designed the Georgian style house as a country estate for William Bourn, a gold magnate. The name came from a shorten version of Bourn's credo, 'FIght for a just cause, LOve your fellow man, LIve a good life.' Bourn and his wife resided here until their deaths in 1936. The estate and its vast property including 16 acres of formal gardens were acquired by Mr. and Mrs. William Roth in 1937. 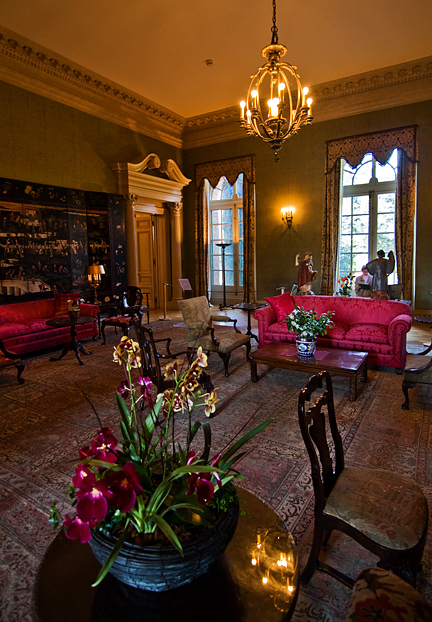 Mrs, Roth lived here until 1975 when she donated 125 acres, including the house and the formal gardens, to the National Trust for Historic Preservation. Today the Filoli estate and the beautiful formal gardens are open to public for viewing and are available for special events.